18 Classic (2005) "Mokule Ale A"
Sold! 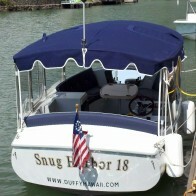 18 Classic (2005) "Mokule Ale A"
November 11th, 2012 | Pre-Owned Duffy Boats, Sold | admin | Comments Off on Sold! 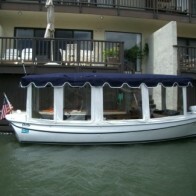 18 Classic (2005) "Mokule Ale A"
New 18′ Snug Harbor Duffy Boat in Stock ready for delivery! Please call for details. Click for detailed information on the 18′ Snug Harbor $37,500 – SOLD! Dealer Demo qualifies as a new boat with ALL Original Warranties…Lifetime Warranty on Motor and Electronic Controller, 1 Year on EVERYTHING !